For most trampoline buyers, safety is the first priority. That’s why so many of our readers are looking to buy a trampoline with enclosure, which prevents kids and adults who are using the trampoline from bouncing out and hitting the ground painfully. Now, technically any trampoline can be a trampoline with enclosure if you want it to, because safety enclosures and nets are now sold separately (you can read more about what we consider the best trampoline enclosures for sale by clicking here.) However, today we will be looking specifically at trampolines that come with enclosures right out of the box. This approach is often the cheaper alternative to buying both items separately, and it’s a lot more convenient! 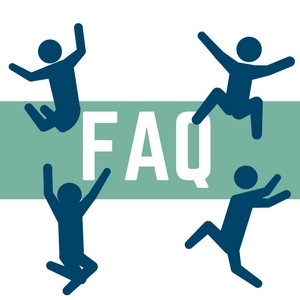 We’ll also cover the benefits of buying a trampoline with enclosure and more information on the topic in the FAQ at the bottom of this page. But for those who already know what they’re looking for, let’s go straight to the reviews! 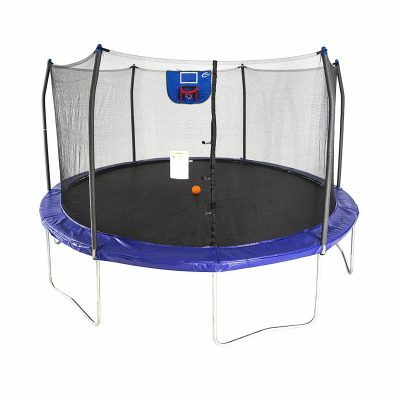 2.1 Should I buy a trampoline with or without enclosure? 2.2 How tall is a trampoline with enclosure? 2.3 Can you find a trampoline with enclosure for toddlers? 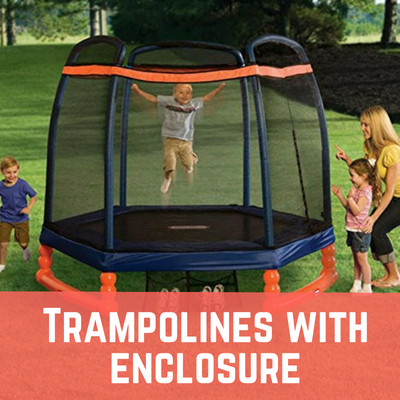 2.4 Where can I find the best deals for trampolines with enclosure? These are three of the best trampolines with enclosures for sale on the market today. The Little Tikes 7 foot Climb N Slide trampoline with enclosure is a small trampoline with a weight limit of only 100 pounds. It’s therefore not suitable for adults or older kids. However, it’s a perfect kids trampoline with enclosure – and it should work for toddlers, too, provided they have adult supervision. What makes the enclosure on this trampoline so great is that it’s designed with safety and durability in mind. Every inch of material is covered with thick, soft foam to prevent your kids from bumping into it on accident and potentially hurting themselves. The enclosure itself is made of high-quality Polyethylene that is completely weatherproof and will stay strong no matter how many times someone jumps into the net. And because the frame is made of sturdy blow-molded plastic, it can be left out year-round without fear. If you’re looking for a cheap kids trampoline with enclosure but don’t want to skimp on quality, this 7-foot Little Tikes model is absolutely one of the best around! Sure, a lot of trampolines are designed for kids, but there’s no reason that adults can’t get involved with this fun form of exercise, too! For your consideration, we submit the Propel Trampolines 12’ trampoline with enclosure, a large and durable model with a 250 pound maximum weight limit that makes it great for kids, teens, and adults alike! 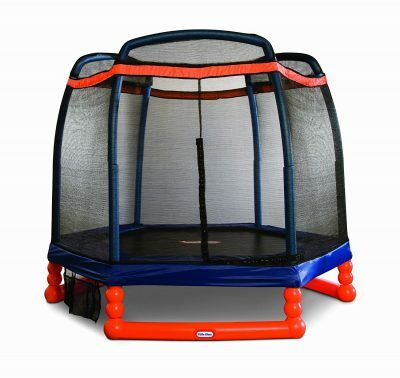 This is a fairly standard trampoline that comes in at a price of just $219 USD – not bad at all. Thick safety padding around the springs and enclosure poles will keep you from hurting yourself on accident, while the Impact-Absorbent Enclosure System itself is made of strong, sturdy material. The real highlight of this trampoline is the bounce height. Because this model comes with 72 springs, you can use it to bounce as high as 6 feet in the air if you want to. And the wonderful enclosure will make sure that you’re perfectly safe if you choose to do so. The Skywalker Trampoline With Enclosure 15 Feet, perhaps better known as the Jump N’ Dunk, is one of the absolute best trampolines on the market. At a diameter of 15 feet and a 200 pound weight capacity, it can handle adults or multiple young children at the same time. A reinforced T-bracket frame made of 16 gauge powder coated steel also makes it a little more stable than similarly-sized trampolines, and the shape and added springs give it a bounce to rival the Propel 12-foot model. The springs are covered in a poly tarp that should be rain- and heat-proof, and the enclosure itself is very durable as all Skywalker enclosures tend to be. A nice added touch is that this trampoline comes with an enclosure-mounted basketball hoop and basketball for those who want to add something more than just jumping to the trampoline exercise experience. Should I buy a trampoline with or without enclosure? In the opinion of the Trampoline Review Guide staff, buying a trampoline with enclosure is always better than buying one without. Most trampoline accidents or injuries occur when someone falls off of a trampoline while bouncing, a safety concern that is eliminated if you have a netted enclosure keeping you and your family safe. 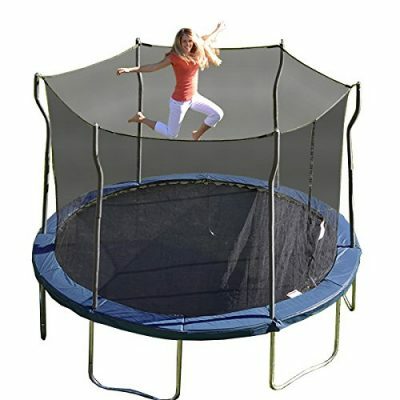 Trampolines without enclosures are sometimes cheaper, but not by much, and the extra risk isn’t worth the money saved. The two big complaints you hear about trampolines with enclosures are that children hurt themselves when they jump into the poles and that the nets rot or get damaged over time. This can occasionally be a problem, but modern trampolines have a number of ways to get around these issues. All of the trampolines with enclosures we’ve recommended above have thick padding on the poles so that they don’t hurt and weatherproof netting that won’t have any problem in extreme weather conditions. Having said that: it is possible to buy a trampoline enclosure separately and attach it to a trampoline that doesn’t come with an enclosure. This is of course a perfectly acceptable alternative to buying a trampoline with enclosure, although it’s usually more expensive and can be annoying to set up. How tall is a trampoline with enclosure? However, as a general rule of thumb, most trampolines stand at 6-8 feet tall. You can expect a trampoline with enclosure to also fall somewhere within that size range. Can you find a trampoline with enclosure for toddlers? Yes you can! The Little Tikes 7 Foot Climb N Slide Trampoline With Enclosure that we recommend above is just one example of a trampoline with enclosure that can be safely used by toddlers and small children. Where can I find the best deals for trampolines with enclosure? Like most things in the modern age, trampolines can be purchased on Amazon. Whenever a company has a sale they’ll update their listing there (in most cases), and if you join Amazon Prime you can get free shipping on your trampoline as well. For the sake of full disclosure, because we are Amazon affiliate partners get a little bit of money every time you click on one of the links included in the reviews above, at no extra cost to you. So if you like our writing and you feel that it’s helped you, please consider buying using the above links! Setting up a trampoline with enclosure is much like setting up any other trampoline. You can click here to read more about how to set up a trampoline, but the short version is that you’ll need to put together the frame, then assemble the legs, then attach the jump pad to the frame with springs. To install your enclosure, first tie the net to the outside of the frame using the cord or bungee loops provided. These rubber-band-like connectors will keep the net taught and in place while it’s being bounced against. Then you’ll need to connect and screw the enclosure posts into the trampoline legs (this step may require a screwdriver or drill.) Then you hook the top of the enclosure into the poles. Please consult the manual that comes with your trampoline with enclosure for more accurate instructions on how to set up a trampoline with enclosure. We hope that after reading this article you understand why you might want to buy a trampoline with enclosure and that you’ve been able to find the perfect enclosed trampoline for you and your family. We know that a trampoline is a big investment, which is why we want to help you make the best purchase you can!